Back in 2010, when we had the inspiration to create a website that would provide research-based evidence on infant sleep for parents and health professionals, we spent a long time inventing and discussing potential names and acronyms. We settled on Infant Sleep Info Source because it transparently identifies what we do, and the acronym (ISIS) was both easily memorable, and was meaningful in its own right as being the name of the Egyptian Mother-Goddess often depicted suckling her son Horus (Isis and Horus were the precursors to many images of Mary and Jesus). How perfect for a website concerned with babies and their parents! We diligently checked for other organisations using the same name/acronym (particularly in the UK); among other things we found several businesses and organisations around Oxfordshire that are named after the River Isis, which forms the upstream portion of the River Thames in Oxford, a Los Angeles post-metal band, and a fanzine dedicated to Bob Dylan. 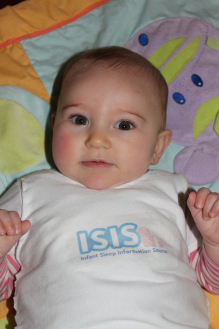 We also found ISIS was the acronym if the Isotope Stock Inventory Tracker at Newcastle University, and at least 69 other organisations — none of which had anything to do with infant sleep. We therefore decided to call our venture ISIS, applied for ESRC funding which was awarded in 2011, and launched the website, Facebook page and Twitter feed in 2012 to a good response. In 2013 the expansion of the insurgent group Dawlah al-ʻIraq al-Islāmiyah (Islamic State of Iraq) into Syria gave rise to their new name al-Dawlah al-Islāmīyah fī al-ʻIrāq wa-al-Shām (Islamic State of Iraq and the Levant, or Islamic State of Iraq and Syria). The English-speaking media now commonly refer to this group as ISIL, ISIS or IS. Beginning in 2014 after the publicity surrounding the terrorist activities of this group, organisations, businesses and even individuals around the world with the name Isis or acronym ISIS began being criticised for the use of this name. 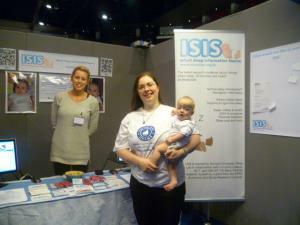 The Infant Sleep Information Source is not alone in receiving comments, particularly via social media, that we ‘should change our name’ because we might be confused with ‘the other ISIS’. There is even a petition in support of women and girls named Isis, to encourage the world’s media to use a different label for the terrorists because of unkind comments. So, let us be clear — we will not change our name because a terrorist group is currently being labelled with an acronym that we happen to share. We chose our name and our acronym very carefully, and all our ‘products’ (our website, our info sheets, our phone app and our publicity material) are labelled with it. As a non-income-generating organisation who provide our service for free, in our spare time, we do not have any budget and therefore no funds for re-branding. To rebuild our website and phone app would cost several thousand pounds, and to change our domain name would require a huge amount of work to track down and contact all the users (web and print-based) who currently link to our site and request they update these links. This is not a task we have the resources to undertake. We have faith that the users of the Infant Sleep Info Source website, and our facebook, and twitter and followers can tell the difference between a group of infant sleep researchers and a terrorist organisation. If our acronym puts someone off from clicking on our site, that’s their choice. To tell someone they ‘should change their name’ because of a negative association they have no control over is insensitive and rude. Instead, let’s support the organisations and individuals in the world who, like us, have had their name hijacked against their will.